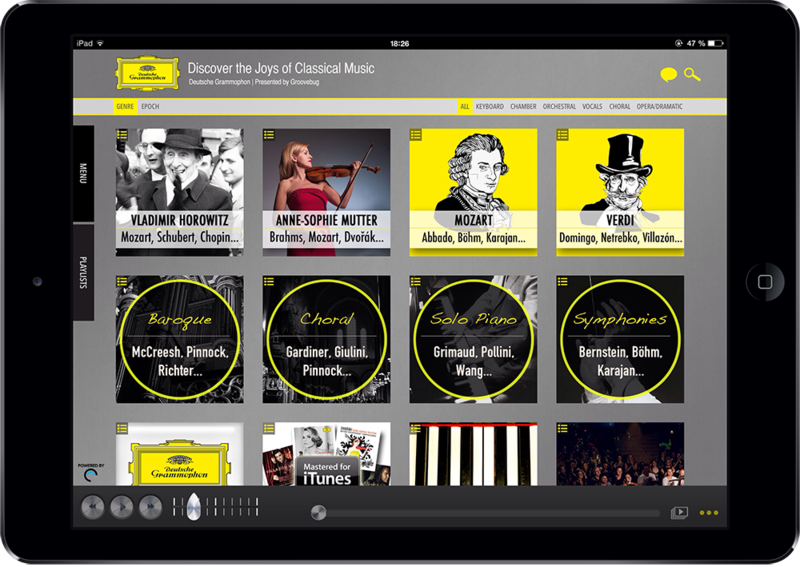 Deutsche Grammophon has announced the launch of DG Discovery, the world’s first classical music label-streaming app. Initially there will be 450 albums. According to Deutsche Grammophon reps: "DG Discovery features essential works by the 30 most popular composers, performed by 80 star artists from Deutsche Grammophon’s roster." Full and unlimited access to the service is available at a monthly fee of $3.99 in the US, or a 12-month discounted subscription fee of $35.99 ($2.99 per month). A free version of DG Discovery, complete with 30-second streamed samples of all tracks in the app’s catalog, allows users to sample before they subscribe. The app will update with over 20 new albums each month, according to the company. The August 25th press release also gave details on how the website will be updated: "The homepage will refresh with 12 new playlists every week, organized by artist, composer, and timely themes, such as Christmas. Thanks to the app’s user-friendly design, subscribers can create multiple personal playlists and, with the aid of a single-tap Facebook button, engage in social media conversations about favorite works and their interpretations. A tap-and-buy button gives those wishing to buy downloads of favorite tracks and albums from the DG Discovery catalog instant access to the iTunes store."